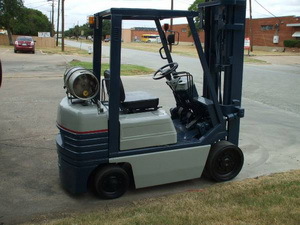 4156100 FG20S-2 KOMATSU FG20S-2 LPG/Gasoline forklift. Spare parts catalog. Service Manual. 4156101 FG20S-3 KOMATSU FG20S-3 LPG/Gasoline forklift. Spare parts catalog. Service Manual. 4156102 FG20ST-4 KOMATSU FG20ST-4 LPG/Gasoline forklift. Spare parts catalog. Service Manual. 4156103 FG20-6 KOMATSU FG20-6 LPG/Gasoline forklift. Spare parts catalog. Service Manual. 4156104 FG20-7 KOMATSU FG20-7 LPG/Gasoline forklift. Spare parts catalog. Service Manual. 4156105 FG20C-8 KOMATSU FG20C-8 LPG/Gasoline forklift. Spare parts catalog. Service Manual. 4156106 FG20HT-8 KOMATSU FG20HT-8 LPG/Gasoline forklift. Spare parts catalog. Service Manual. 4156107 FG20LC-8 KOMATSU FG20LC-8 LPG/Gasoline forklift. Spare parts catalog. Service Manual. 4156108 FG20T-8 KOMATSU FG20T-8 LPG/Gasoline forklift. Spare parts catalog. Service Manual. 4156109 FG20C-11 KOMATSU FG20C-11 LPG/Gasoline forklift. Spare parts catalog. Service Manual. 4156110 FG20DT-11E KOMATSU FG20DT-11E LPG/Gasoline forklift. Spare parts catalog. Service Manual. 4156111 FG20H-11 KOMATSU FG20H-11 LPG/Gasoline forklift. Spare parts catalog. Service Manual. 4156112 FG20L-11 KOMATSU FG20L-11 LPG/Gasoline forklift. Spare parts catalog. Service Manual. 4156113 FG20ST-11 KOMATSU FG20ST-11 LPG/Gasoline forklift. Spare parts catalog. Service Manual. 4156114 FG20T-11 KOMATSU FG20T-11 LPG/Gasoline forklift. Spare parts catalog. Service Manual. 4156115 FG20T-11E KOMATSU FG20T-11E LPG/Gasoline forklift. Spare parts catalog. Service Manual. 4156116 FG20C-12 KOMATSU FG20C-12 LPG/Gasoline forklift. Spare parts catalog. Service Manual. 4156117 FG20HC-12 KOMATSU FG20HC-12 LPG/Gasoline forklift. Spare parts catalog. Service Manual. 4156118 FG20HT-12 KOMATSU FG20HT-12 LPG/Gasoline forklift. Spare parts catalog. Service Manual. 4156119 FG20L-12 KOMATSU FG20L-12 LPG/Gasoline forklift. Spare parts catalog. Service Manual. 4156120 FG20SHT-12 KOMATSU FG20SHT-12 LPG/Gasoline forklift. Spare parts catalog. Service Manual. 4156121 FG20ST-12 KOMATSU FG20ST-12 LPG/Gasoline forklift. Spare parts catalog. Service Manual. 4156122 FG20T-12 KOMATSU FG20T-12 LPG/Gasoline forklift. Spare parts catalog. Service Manual. 4156123 FG20C-14 KOMATSU FG20C-14 LPG/Gasoline forklift. Spare parts catalog. Service Manual. 4156124 FG20HC-14 KOMATSU FG20HC-14 LPG/Gasoline forklift. Spare parts catalog. Service Manual. 4156125 FG20HT-14 KOMATSU FG20HT-14 LPG/Gasoline forklift. Spare parts catalog. Service Manual. 4156126 FG20L-14 KOMATSU FG20L-14 LPG/Gasoline forklift. Spare parts catalog. Service Manual. 4156127 FG20LC-14 KOMATSU FG20LC-14 LPG/Gasoline forklift. Spare parts catalog. Service Manual. 4156128 FG20T-14 KOMATSU FG20T-14 LPG/Gasoline forklift. Spare parts catalog. Service Manual. 4156129 FG20C-15 KOMATSU FG20C-15 LPG/Gasoline forklift. Spare parts catalog. Service Manual. 4156130 FG20H-15 KOMATSU FG20H-15 LPG/Gasoline forklift. Spare parts catalog. Service Manual. 4156131 FG20LC-15 KOMATSU FG20LC-15 LPG/Gasoline forklift. Spare parts catalog. Service Manual. 4156132 FG20LT-15 KOMATSU FG20LT-15 LPG/Gasoline forklift. Spare parts catalog. Service Manual. 4156133 FG20NT-15 KOMATSU FG20NT-15 LPG/Gasoline forklift. Spare parts catalog. Service Manual. 4156134 FG20T-15 KOMATSU FG20T-15 LPG/Gasoline forklift. Spare parts catalog. Service Manual. 4156135 FG20C-16 KOMATSU FG20C-16 LPG/Gasoline forklift. Spare parts catalog. Service Manual. 4156136 FG20HC-16 KOMATSU FG20HC-16 LPG/Gasoline forklift. Spare parts catalog. Service Manual. 4156137 FG20HT-16 KOMATSU FG20HT-16 LPG/Gasoline forklift. Spare parts catalog. Service Manual. 4156138 FG20NT-16 KOMATSU FG20NT-16 LPG/Gasoline forklift. Spare parts catalog. Service Manual. 4156139 FG20SHT-16 KOMATSU FG20SHT-16 LPG/Gasoline forklift. Spare parts catalog. Service Manual. 4156140 FG20ST-16 KOMATSU FG20ST-16 LPG/Gasoline forklift. Spare parts catalog. Service Manual. 4156141 FG20T-16 KOMATSU FG20T-16 LPG/Gasoline forklift. Spare parts catalog. Service Manual. 4156142 FG20C-17 KOMATSU FG20C-17 LPG/Gasoline forklift. Spare parts catalog. Service Manual. 4156143 FG20HC-17 KOMATSU FG20HC-17 LPG/Gasoline forklift. Spare parts catalog. Service Manual. 4156144 FG20HT-17 KOMATSU FG20HT-17 LPG/Gasoline forklift. Spare parts catalog. Service Manual. 4156145 FG20NT-17 KOMATSU FG20NT-17 LPG/Gasoline forklift. Spare parts catalog. Service Manual. 4156146 FG20T-17 KOMATSU FG20T-17 LPG/Gasoline forklift. Spare parts catalog. Service Manual. 4156147 FG20AHT-20 KOMATSU FG20AHT-20 LPG/Gasoline forklift. Spare parts catalog. Service Manual. 4156148 FG23C-8 KOMATSU FG23C-8 LPG/Gasoline forklift. Spare parts catalog. Service Manual. 4156149 FG23C-11 KOMATSU FG23C-11 LPG/Gasoline forklift. Spare parts catalog. Service Manual. 4156150 FG23T-11 KOMATSU FG23T-11 LPG/Gasoline forklift. Spare parts catalog. Service Manual. 4156151 FG23T-12 KOMATSU FG23T-12 LPG/Gasoline forklift. Spare parts catalog. Service Manual. 4156152 FG23-14 KOMATSU FG23-14 LPG/Gasoline forklift. Spare parts catalog. Service Manual. 4156153 FG25S-2 KOMATSU FG25S-2 LPG/Gasoline forklift. Spare parts catalog. Service Manual. 4156154 FG25S-3 KOMATSU FG25S-3 LPG/Gasoline forklift. Spare parts catalog. Service Manual. 4156155 FG25ST-4 KOMATSU FG25ST-4 LPG/Gasoline forklift. Spare parts catalog. Service Manual. 4156156 FG25-6 KOMATSU FG25-6 LPG/Gasoline forklift. Spare parts catalog. Service Manual. 4156157 FG25-7 KOMATSU FG25-7 LPG/Gasoline forklift. Spare parts catalog. Service Manual. 4156158 FG25C-8 KOMATSU FG25C-8 LPG/Gasoline forklift. Spare parts catalog. Service Manual. 4156159 FG25HT-8 KOMATSU FG25HT-8 LPG/Gasoline forklift. Spare parts catalog. Service Manual. 4156160 FG25LC-8 KOMATSU FG25LC-8 LPG/Gasoline forklift. Spare parts catalog. Service Manual. 4156161 FG25T-8 KOMATSU FG25T-8 LPG/Gasoline forklift. Spare parts catalog. Service Manual. 4156162 FG28C-8 KOMATSU FG28C-8 LPG/Gasoline forklift. Spare parts catalog. Service Manual. 4156163 FG25C-11 KOMATSU FG25C-11 LPG/Gasoline forklift. Spare parts catalog. Service Manual. 4156164 FG25DT-11E KOMATSU FG25DT-11E LPG/Gasoline forklift. Spare parts catalog. Service Manual. 4156165 FG25HT-11 KOMATSU FG25HT-11 LPG/Gasoline forklift. Spare parts catalog. Service Manual. 4156166 FG25L-11 KOMATSU FG25L-11 LPG/Gasoline forklift. Spare parts catalog. Service Manual. 4156167 FG25SC-11 KOMATSU FG25SC-11 LPG/Gasoline forklift. Spare parts catalog. Service Manual. 4156168 FG25ST-11 KOMATSU FG25ST-11 LPG/Gasoline forklift. Spare parts catalog. Service Manual. 4156169 FG25T-11 KOMATSU FG25T-11 LPG/Gasoline forklift. Spare parts catalog. Service Manual. 4156170 FG25T-11E KOMATSU FG25T-11E LPG/Gasoline forklift. Spare parts catalog. Service Manual. 4156171 FG25C-12 KOMATSU FG25C-12 LPG/Gasoline forklift. Spare parts catalog. Service Manual. 4156172 FG25HC-12 KOMATSU FG25HC-12 LPG/Gasoline forklift. Spare parts catalog. Service Manual. 4156173 FG25HT-12 KOMATSU FG25HT-12 LPG/Gasoline forklift. Spare parts catalog. Service Manual. 4156174 FG25LC-12 KOMATSU FG25LC-12 LPG/Gasoline forklift. Spare parts catalog. Service Manual. 4156175 FG25SHT-12 KOMATSU FG25SHT-12 LPG/Gasoline forklift. Spare parts catalog. Service Manual. 4156176 FG25ST-12 KOMATSU FG25ST-12 LPG/Gasoline forklift. Spare parts catalog. Service Manual. 4156177 FG25T-12 KOMATSU FG25T-12 LPG/Gasoline forklift. Spare parts catalog. Service Manual. 4156178 FG25C-14 KOMATSU FG25C-14 LPG/Gasoline forklift. Spare parts catalog. Service Manual. 4156179 FG25HT-14 KOMATSU FG25HT-14 LPG/Gasoline forklift. Spare parts catalog. Service Manual. 4156180 FG25LC-14 KOMATSU FG25LC-14 LPG/Gasoline forklift. Spare parts catalog. Service Manual. 4156181 FG25T-14 KOMATSU FG25T-14 LPG/Gasoline forklift. Spare parts catalog. Service Manual. 4156182 FG25C-15 KOMATSU FG25C-15 LPG/Gasoline forklift. Spare parts catalog. Service Manual. 4156183 FG25HC-15 KOMATSU FG25HC-15 LPG/Gasoline forklift. Spare parts catalog. Service Manual. 4156184 FG25LC-15 KOMATSU FG25LC-15 LPG/Gasoline forklift. Spare parts catalog. Service Manual. 4156185 FG25LT-15 KOMATSU FG25LT-15 LPG/Gasoline forklift. Spare parts catalog. Service Manual. 4156186 FG25NT-15 KOMATSU FG25NT-15 LPG/Gasoline forklift. Spare parts catalog. Service Manual. 4156187 FG25T-15 KOMATSU FG25T-15 LPG/Gasoline forklift. Spare parts catalog. Service Manual. 4156188 FG25C-16 KOMATSU FG25C-16 LPG/Gasoline forklift. Spare parts catalog. Service Manual. 4156189 FG25HC-16 KOMATSU FG25HC-16 LPG/Gasoline forklift. Spare parts catalog. Service Manual. 4156190 FG25HT-16 KOMATSU FG25HT-16 LPG/Gasoline forklift. Spare parts catalog. Service Manual. 4156191 FG25NT-16 KOMATSU FG25NT-16 LPG/Gasoline forklift. Spare parts catalog. Service Manual. 4156192 FG25SHT-16 KOMATSU FG25SHT-16 LPG/Gasoline forklift. Spare parts catalog. Service Manual. 4156193 FG25ST-16 KOMATSU FG25ST-16 LPG/Gasoline forklift. Spare parts catalog. Service Manual. 4156194 FG25T-16 KOMATSU FG25T-16 LPG/Gasoline forklift. Spare parts catalog. Service Manual. 4156195 FG25C-17 KOMATSU FG25C-17 LPG/Gasoline forklift. Spare parts catalog. Service Manual. 4156196 FG25HC-17 KOMATSU FG25HC-17 LPG/Gasoline forklift. Spare parts catalog. Service Manual. 4156197 FG25HT-17 KOMATSU FG25HT-17 LPG/Gasoline forklift. Spare parts catalog. Service Manual. 4156198 FG25NT-17 KOMATSU FG25NT-17 LPG/Gasoline forklift. Spare parts catalog. Service Manual. 4156199 FG25T-17 KOMATSU FG25T-17 LPG/Gasoline forklift. Spare parts catalog. Service Manual. 4156200 FG28C-11 KOMATSU FG28C-11 LPG/Gasoline forklift. Spare parts catalog. Service Manual. 4156201 FG28T-12 KOMATSU FG28T-12 LPG/Gasoline forklift. Spare parts catalog. Service Manual. 4156202 FG28T-12 KOMATSU FG28T-12 LPG/Gasoline forklift. Spare parts catalog. Service Manual. 4156203 FG28-14 KOMATSU FG28-14 LPG/Gasoline forklift. Spare parts catalog. Service Manual. 4156204 FG28HT-16 KOMATSU FG28HT-16 LPG/Gasoline forklift. Spare parts catalog. Service Manual. 4156205 FG28SHT-16 KOMATSU FG28SHT-16 LPG/Gasoline forklift. Spare parts catalog. Service Manual. 4156206 FG30-1 KOMATSU FG30-1 LPG/Gasoline forklift. Spare parts catalog. Service Manual. 4156207 FG30S-3 KOMATSU FG30S-3 LPG/Gasoline forklift. Spare parts catalog. Service Manual. 4156208 FG30S-4 KOMATSU FG30S-4 LPG/Gasoline forklift. Spare parts catalog. Service Manual. 4156209 FG30ST-4 KOMATSU FG30ST-4 LPG/Gasoline forklift. Spare parts catalog. Service Manual. 4156210 FG30-7 KOMATSU FG30-7 LPG/Gasoline forklift. Spare parts catalog. Service Manual. 4156211 FG30C-8 KOMATSU FG30C-8 LPG/Gasoline forklift. Spare parts catalog. Service Manual. 4156212 FG30HT2-8 KOMATSU FG30HT2-8 LPG/Gasoline forklift. Spare parts catalog. Service Manual. 4156213 FG30HT-8 KOMATSU FG30HT-8 LPG/Gasoline forklift. Spare parts catalog. Service Manual. 4156214 FG30T-8 KOMATSU FG30T-8 LPG/Gasoline forklift. Spare parts catalog. Service Manual. 4156215 FG30C-11 KOMATSU FG30C-11 LPG/Gasoline forklift. Spare parts catalog. Service Manual. 4156216 FG30DT-11E KOMATSU FG30DT-11E LPG/Gasoline forklift. Spare parts catalog. Service Manual. 4156217 FG30GT-11 KOMATSU FG30GT-11 LPG/Gasoline forklift. Spare parts catalog. Service Manual. 4156218 FG30HT-11 KOMATSU FG30HT-11 LPG/Gasoline forklift. Spare parts catalog. Service Manual. 4156219 FG30SGT-11 KOMATSU FG30SGT-11 LPG/Gasoline forklift. Spare parts catalog. Service Manual. 4156220 FG30SHT-11 KOMATSU FG30SHT-11 LPG/Gasoline forklift. Spare parts catalog. Service Manual. 4156221 FG30ST-11 KOMATSU FG30ST-11 LPG/Gasoline forklift. Spare parts catalog. Service Manual. 4156222 FG30T-11 KOMATSU FG30T-11 LPG/Gasoline forklift. Spare parts catalog. Service Manual. 4156223 FG30T-11E KOMATSU FG30T-11E LPG/Gasoline forklift. Spare parts catalog. Service Manual. 4156224 FG30C-12 KOMATSU FG30C-12 LPG/Gasoline forklift. Spare parts catalog. Service Manual. 4156225 FG30HC-12 KOMATSU FG30HC-12 LPG/Gasoline forklift. Spare parts catalog. Service Manual. 4156226 FG30HT-12 KOMATSU FG30HT-12 LPG/Gasoline forklift. Spare parts catalog. Service Manual. 4156227 FG30SHT-12 KOMATSU FG30SHT-12 LPG/Gasoline forklift. Spare parts catalog. Service Manual. 4156228 FG30ST-12 KOMATSU FG30ST-12 LPG/Gasoline forklift. Spare parts catalog. Service Manual. 4156229 FG30T-12 KOMATSU FG30T-12 LPG/Gasoline forklift. Spare parts catalog. Service Manual. 4156230 FG30C-14 KOMATSU FG30C-14 LPG/Gasoline forklift. Spare parts catalog. Service Manual. 4156231 FG30HT-14 KOMATSU FG30HT-14 LPG/Gasoline forklift. Spare parts catalog. Service Manual. 4156232 FG30T-14 KOMATSU FG30T-14 LPG/Gasoline forklift. Spare parts catalog. Service Manual. 4156233 FG30C-15 KOMATSU FG30C-15 LPG/Gasoline forklift. Spare parts catalog. Service Manual. 4156234 FG30H-15 KOMATSU FG30H-15 LPG/Gasoline forklift. Spare parts catalog. Service Manual. 4156235 FG30NT-15 KOMATSU FG30NT-15 LPG/Gasoline forklift. Spare parts catalog. Service Manual. 4156236 FG30T-15 KOMATSU FG30T-15 LPG/Gasoline forklift. Spare parts catalog. Service Manual. 4156237 FG30AT-16 KOMATSU FG30AT-16 LPG/Gasoline forklift. Spare parts catalog. Service Manual. 4156238 FG30C-16 KOMATSU FG30C-16 LPG/Gasoline forklift. Spare parts catalog. Service Manual. 4156239 FG30HT-16 KOMATSU FG30HT-16 LPG/Gasoline forklift. Spare parts catalog. Service Manual. 4156240 FG30NT-16 KOMATSU FG30NT-16 LPG/Gasoline forklift. Spare parts catalog. Service Manual. 4156241 FG30SHT-16 KOMATSU FG30SHT-16 LPG/Gasoline forklift. Spare parts catalog. Service Manual. 4156242 FG30T-16 KOMATSU FG30T-16 LPG/Gasoline forklift. Spare parts catalog. Service Manual. 4156243 FG30C-17 KOMATSU FG30C-17 LPG/Gasoline forklift. Spare parts catalog. Service Manual. 4156244 FG30NT-17 KOMATSU FG30NT-17 LPG/Gasoline forklift. Spare parts catalog. Service Manual. 4156245 FG30T-17 KOMATSU FG30T-17 LPG/Gasoline forklift. Spare parts catalog. Service Manual. 4156246 FG32HT-16 KOMATSU FG32HT-16 LPG/Gasoline forklift. Spare parts catalog. Service Manual. 4156247 FG32SHT-16 KOMATSU FG32SHT-16 LPG/Gasoline forklift. Spare parts catalog. Service Manual. 4156248 FG33ST-4 KOMATSU FG33ST-4 LPG/Gasoline forklift. Spare parts catalog. Service Manual. 4156249 FG33ST-6 KOMATSU FG33ST-6 LPG/Gasoline forklift. Spare parts catalog. Service Manual. 4156250 FG33NT-7 KOMATSU FG33NT-7 LPG/Gasoline forklift. Spare parts catalog. Service Manual.